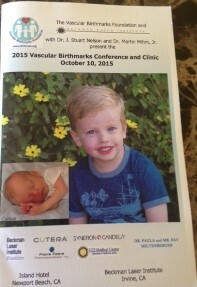 2015 Vascular Birthmarks Conference: A Resounding Success! Thank you! Praise GOD! 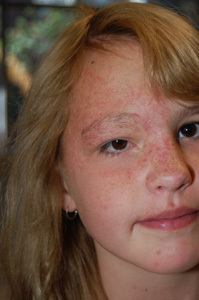 Saturday, October 10, 2015 was our 2015 Vascular Birthmarks Conference and Clinic. 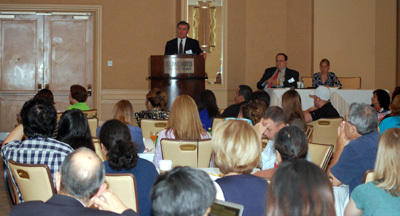 The conference was an enormous success. We had over 300 in attendance from all over the globe; 20 vascular birthmark expert physicians, 18 presentations, 130 clinic appointments, and over 50 medical procedures scheduled as a result of the conference. To top it off, it reached 100 degrees outside! Special thanks to our Co-Directors, Dr. Stuart Nelson and Dr. Martin Mihm, as well as our volunteer physicians and health care professionals. A huge THANK YOU to our logistical team of Erin Miller, Deborah Birnie, and Carla Mannix (logistics, registration, and much more). The Island Hotel was amazing as were the staff at Beckman Laser Institute: Ashley Conway, Andria Giancarli, Veronica Gibson, and Nicole Hadley. Other volunteers included our board members: Corinne Barinaga, Brian and Natalie Bolinger, Glenda and Tiffany Ethington, Lauri Firstenberg, Leslie Graff (speaker, facilitator, and volunteer), and Jennie Legary. Major thanks to Sherry Parrish and her daughters Brooke and Paige. Brooke was my Personal Assistant for the day!!! She was amazing. Paige rocked the day care and Sherry was our sales director!!! Missy Scott, our web administrator and the recipient of our 2015 Service Award, was also on hand to help out as well as Kim Heintzman and Rachel Short (our make up artists). If you donated to VBF, you helped provide lodging for over 50 families, free conference admission, and 130 free clinic appointments, not to mention meals for 300, and an opportunity for families to receive an accurate diagnosis and appropriate treatment plan (many for the first time). THANK YOU! Please keep giving. There are many more families that need sponsorship for next year. Our 2016 Conference and Clinic will be Saturday, October 8, 2016 at the Lenox Hill Hospital in New York City. Stay tuned!!!! 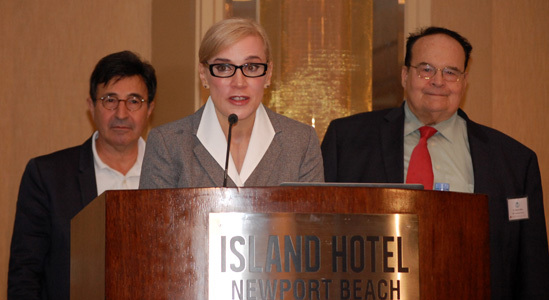 Dr. Linda Shannon Opens the 2015 Vascular Birthmarks Foundation Conference with Dr. Milton Waner (l) and Dr. Martin Mihm (r). 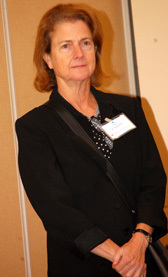 Dr. Paula North is the 2015 Physician of the Year recipient. Marion Wood, the winner of the Roy G. Geronemus, MD, Humanitarian Scholarship and Cassie Nadon, the winner of the Frank Catalanotto Perseverance Scholarship. Dr. Stuart Nelson, one of the Co-Directors of this year’s VBF Conference, presents information on laser therapy for children and adults with hemagniomas or port wine stains. Dr. Kamiab Delfanian talks about Klippel-Trenaunay Syndrome (KTS) and compression garments. Dr. Paula North, Dr. Srinivasan Paramasivam, Dr. Anthony Chang, Dr. Teresa O, and Dr. Francine Blei answer conference attendees’ questions during the Question and Answer Session. 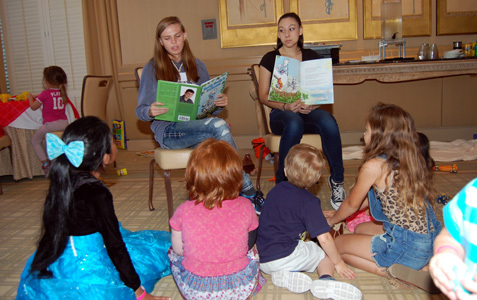 Children in daycare enjoy hearing the adventures of our mascot, Buddy Booby, from the book Buddy Booby’s Birthmark. The Pecht Family relaxes between sessions at the conference. 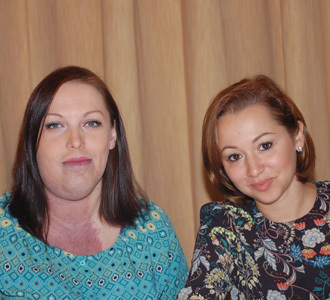 Olga Bachuk and Dr. Tatyana Belysheva made the journey from Moscow to attend the VBF conference. Zahnee Riley-Campbell and her family, of New Zealand, also attended the 2015 VBF Conference.